On 13 October 2017, Eagle Rock Entertainment release "Tommy – Live At The Royal Albert Hall" by The Who on DVD, Blu-ray, 2CD, 3LP [Cat Nos EREDV1301, ERBRD5339, EDGCD680 and EAGLP681 respectively], Digital Video and Digital Audio. This unbelievable concert film captures the first ever live performance by The Who of "Tommy" in its entirety and boasts over two hours and twenty minutes of content. 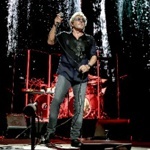 The show includes all time classics like Pinball Wizard, I'm Free, Amazing Journey, We're Not Gonna Take It, I Can't Explain, Who Are You, Won't Get Fooled Again, I Can See For Miles and many more! 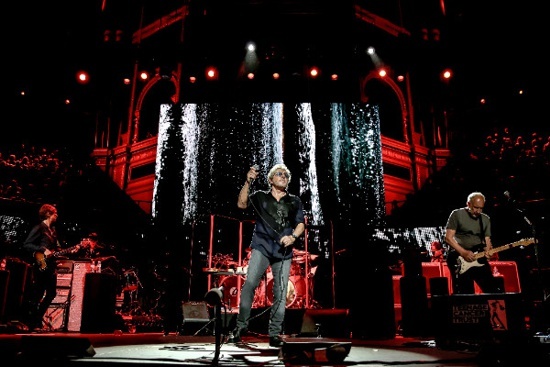 In April 2017 The Who took to the stage at London's Royal Albert Hall to perform their rock opera "Tommy" live in its entirety for the first time in their long and illustrious career. Previous Who live shows had always dropped two, three or four tracks from the album but for this show in aid of the Teenage Cancer Trust the band would perform every track. With specially created animations on a huge screen above the stage and creative use of lighting the concert told the story of the "deaf, dumb and blind kid who sure played a mean pinball." In addition, at the end of Tommy, the sell-out crowd was treated to a short set of Who classics. Always a great live band, this performance was a thrilling ride from start to finish. As well as the incredible full show, we also include some great bonus features. There is a behind the scenes featurette, plus also full screen animations of both The Acid Queen and Pinball Wizard with the live performance audio. This concert film captures some of their greatest ever work, breathtakingly staged and fully live in full for the first time ever, at an iconic venue. "Tommy – Live At The Royal Albert Hall" is absolutely unmissable for any fans of The Who.